According to the New York Daily News, the NFL prefers a network’s “A” team to call TNF, one of the reasons why the league went to CBS two years ago and awarded the Tiffany Network the rights to the entire season as Jim Nantz and Phil Simms called the games. But apparently Michaels and Collinsworth will be calling both packages when NBC takes over TNF later in the season. But Michaels and Collinsworth won’t have that option as they’ll be on every Sunday Night Football game and most of NBC’s Thursday Night Football package. There are two instances where Tirico could call two late-season games which fall on Saturday nights so he still could have the opportunity to call the NFL this year. So when it comes down to broadcasting NFL games, Thursday Night Football in particular, it’s the league’s way and no one else’s. So it opens the chance for Tirico to call some of the package. If we had to guess, he would call the NFL Network-exclusive games while Al and Cris call the NBC/NFL Network simulcast games. Overall, NBC will produce eight games and air five on the Peacock. Three will air on NFL Network exclusively. In addition to the eight TNF games, NBC has the season opening game plus one on Thanksgiving Night which are not part of the package. 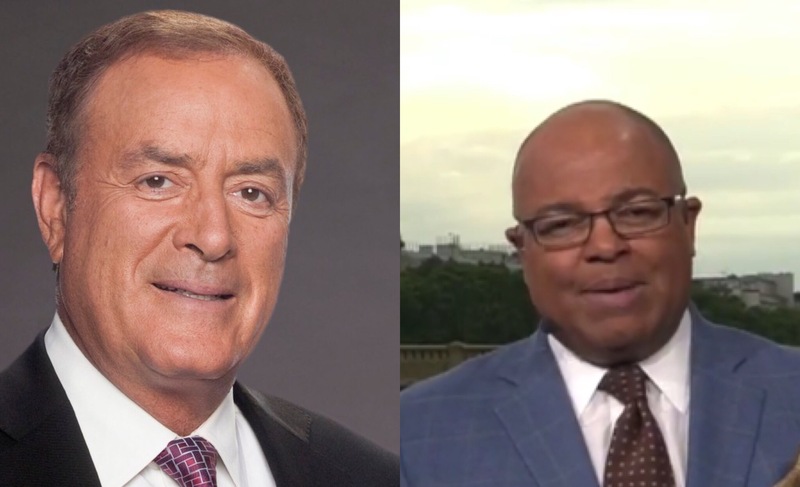 Pingback: Mike Tirico: NBC move "worked out absolutely perfectly"
Pingback: Who will call Thursday Night Football for Fox?